Several mums I’ve spoken to recently have mentioned it’s hard to find good information about mix-feeding. Often breastfeeding websites don’t discuss it as they promote exclusive breastfeeding and the reasons for doing so. Similarly some mums are nervous about asking too many breastmilk questions on bottle-feeding forums, for fear it may upset those not breastfeeding at all. Mix feeding, combination feeding – whatever you prefer to call it, almost seems to fall into a no mans land. What concerns me about this is hearing from a number of mums that they thought it had to be all or nothing; some have said that once they had given a bottle and destroyed the “virgin gut” (the special environment created by baby having solely breastmilk) they believed there was no longer any point continuing. I hope this entry helps…. Why isn’t mix-feeding promoted more by breastfeeding supporters? There is no doubt that exclusively breastfeeding is the safest way to nourish an infant. As mentioned above, certain antibodies work to help prevent harmful pathogens or allergens being absorbed into baby’s bloodstream (often called “virgin gut”). Small amounts of formula remove the protective coating, although evidence also suggests several weeks of exclusive feeding can help it revert back to one dominant in good bacteria again. Read more about exclusive breastfeeding v mixed feeding here. The other big issue is supply – in simple terms your body knows what to produce based on how much your baby consumes and how frequently. Logically if you replace one breastfeed with a bottle feed, your body will produce this much less milk and everything else will be the same. In the early days however this logic often doesn’t work; a baby drinks more from a bottle because it’s a more passive method of feeding, which combined with the fact formula is harder to digest leads them to go longer before the next feed. Because they’ve drunk slightly beyond satiation, next time they may need a slightly bigger bottle or a bigger top up, to create the same “full” feeling. Some babies then become frustrated at having to wait for the breast to “let down” and having to work for milk, rather than it just being poured out – so may fuss at the breast. Mum can easily then think baby prefers the bottle and seems happier – baby may even refuse the breast entirely, particularly if breastfeeding wasn’t going that great when the bottle was introduced. It can be a slippery path from giving one bottle to the supplement amount increasing, time at the breast reducing and mum suddenly finding herself almost entirely bottle feeding, when in fact she wanted to breastfeed. What if mum can’t get help to resolve the problem or feels she has to or really wants to give a supplement/bottle. What if the choice isn’t exclusive or mix feeding – but mix-feeding or nothing, is there any point continuing breastfeeding? There are two different issues at play here; the first is the protection from breastmilk coating the gut. The second is all the other many many constituents in breastmilk that work in a different way; those that enter babies blood stream and target pathogens, or help sweep them from the body. Cancer fighting agents, stem cells, hormones and a lot more besides! We often hear it said that even one breastfeed per day is valuable, and this is absolutely true. If breastfeeding were only of worth when exclusive, there would be no reason to continue once solids were introduced. I find it helps to look at things on a big scale in terms of risks/benefits – right at one end you have the exclusively breastfed infants who have never been supplemented, feed on demand and likely co-sleep with lots of nightfeeds. At the other an infant who is exclusively formula fed with no breastmilk. All other infants sit somewhere on this scale and the more breastfeeding/breastmilk is involved, the further down the “risks” scale they sit. But is there any point if I have to return to work? I will have to stop then anyway? Returning to work doesn’t have to spell the end of breastfeeding. There are many different options to explore. 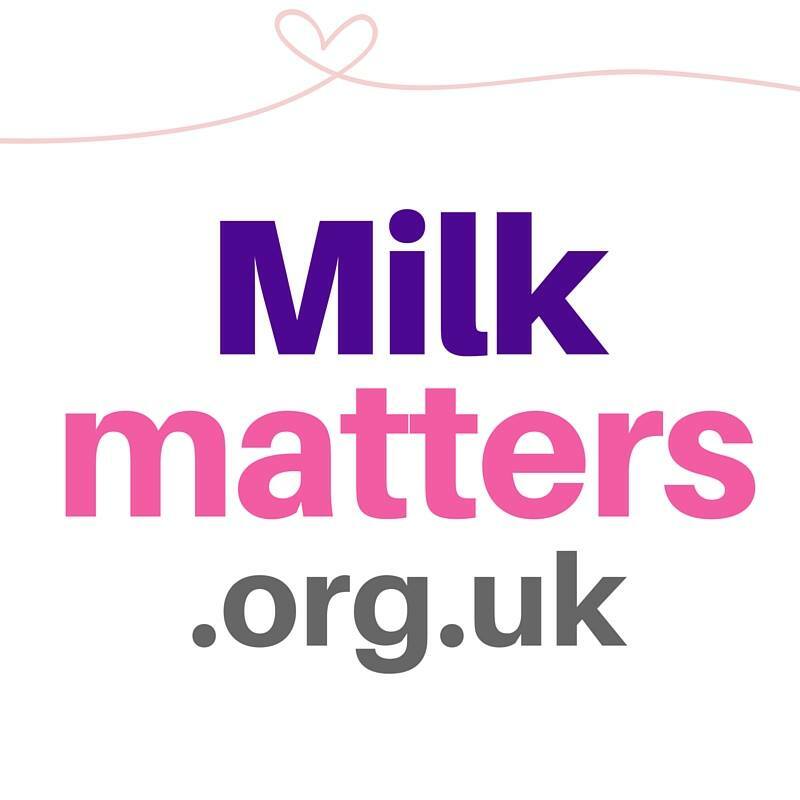 Some build a “freezer stash” of expressed milk in the early months and give this when they return to work – perhaps continuing to express, or deciding to just use the stash before supplementing with another milk. Others might choose to express whilst at work and give that, whilst some might fit say one expressing session in and give the rest as a different milk. If baby is well established on solids, mum may choose not to leave another milk and instead feed lots when at home (perhaps offering more cheese/dairy products). If mum works near home or near her childcare, sometimes she can even arrange to visit baby during breaks to feed or have baby brought to her. There are no hard and fast rules as it’s about finding something that works for you and your circumstances. But what is key is in any of the above scenarios – you can still choose to breastfeed when you are with your baby. This means your baby still gets passive immunity which when starting daycare or a childminders (positively a germ party!) can be invaluable, not only for baby’s health but also as a way of reconnecting after a day at work. It also means mums don’t have to bother with the hassle of making up bottles/cleaning them etc taking further time out of what can be a busy day! In the UK mums may often have 6-12 months maternity leave, meaning supply is much more established by the time and can quickly adapt to new and changing patterns. Even at a few months old supply has more chance of keeping up than in the early weeks – allowing you to continue as long as you want. The incorrect terminology is often used its breastfeeding or bottlefeeding, breastmilk or formula. That is why I set up the group on Baby centre as pumping was rarely talked about and if it was it was in relation to only breastfeeding but its totally viable and possible to exclusively pump and this should be mentioned as a feeding option too. You’re feeding your baby, that’s all that mtarets. I firmly believe that what is best for your baby is what makes both of you happy. Despite what some crazy people will say formula is not poison. This is coming from someone who has been breast feeding for over a year now, we are not all crazy formula haters :). She’s beautiful BTW. I didn’t vote at all, as we’re just in the planning to brfasteeed stage of course. I wanted to suggest surveymonkey.com for your next poll (I don’t know how easy it is to embed within your blog but I bet you could figure it out) you could just have two questions, public/not and for how long, and then surveymonkey would do some nifty stats crunching for you to show who’s saying what.. I think that would work at any rate. Shoulda suggested this earlier when I read your first post. Anyway, surveymonkey has pretty good free functionality and I’ve used it for school, and know people who’ve used it for work stuff too.BB’s last blog post.. I voted in both polls. My oldest two were waneed at 12mo each and I was very careful at the time IF I NIP to cover my whole torso. With my third son I NIP more frequently but wasn’t too concerned with using a blanket over baby’s head; but I also sat in my car alot to nurse openly before going in any store. I planned on nursing him longer but he waneed at 13mo due to me being 4mo pregnant and he didn’t like the colostrum. I now nurse all the time in public only using the sling to hold him or the doubled-up shirt like a previous poster mentioned (tank top underneath to hide my belly and short pulled up), and plan to go to 2yrs he’s only 6mo now. When my kids have been infants I have aawyls been really open with the breastfeeding. Now that my Audrey is almost two it has been really hard to breatfeed in public, I keep thinking that people might think “she is too old” to breastfeed. I do it anyway, with no cover (she doesn’t like one) but aawyls get thoughts in my head.